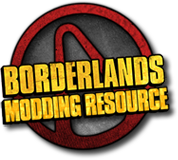 WillowTree is an advanced save editor for Borderlands on all platforms (360, PS3, and PC) that presents all of the data from a save in an easily editable format. It includes built-in features to speed up changes to some aspects of the saves such as character information, skills, quest status, items, and backpack size. Character - Contains information regarding the character's experience, level, and money, along with other basic details from the beginning of the save. Skills - Lists all of the character's skills. Grenades, Shields, and Mods - Lists all non-weapon backpack items. Weapons - Lists all of the character's weapons. Challenge Data - Lists the raw data from the challenges. Visited Locations - Lists all of the character's visited locations. Current Location - Displays the character's current location (New-U Station). Save Info - Contains values for the save, such as the save number. Quests - List all of the character's completed and current quests. Player Info - Displays extra information about the character, specifically color and name. Echo Logs - Lists all of the character's echo logs. For this example I'll be changing the part on a gun. 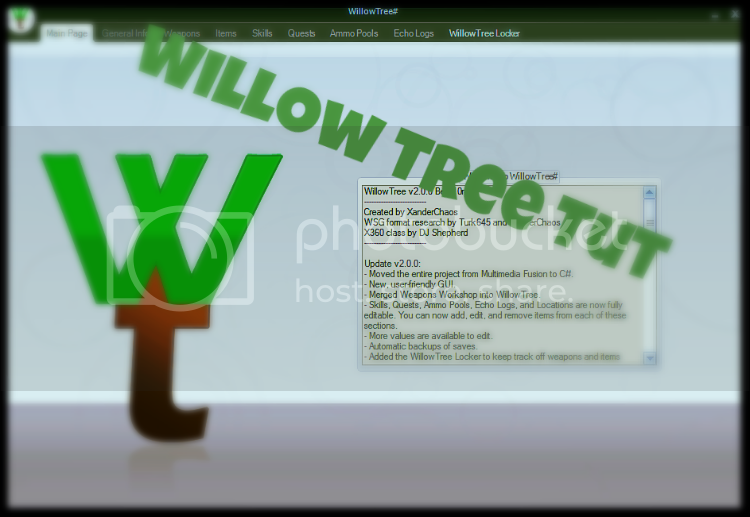 The same process can be used on almost any other string or value in WillowTree. Make sure that when you finish editing your save data that you remember to save from the File menu. After adjusting any values, "Save Changes" must be clicked in order for the changes to take effect. Select the part you want and hit "Swap Part". You can also change the remaining ammo in the gun, the quality of the gun (determines the strength and level requirement), and what slot, if any, that the item or weapon is equipped to.